Bouncing Around Euroom | Jam in the Dam, here I come ! Jam in the Dam, here I come ! 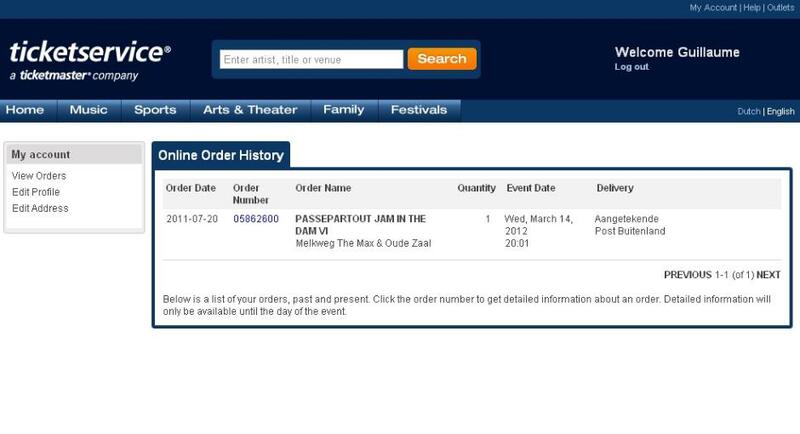 I just ordered my 3 days tickets for the next Jam in the Dam festival in Amsterdam in march 2012. Of course, there'll be Mike Gordon among the line-up but also Lotus, moe. and Dark Star Orchestra ! And the good thing is that this travel to Holland will be a family affair : visiting the great city with my wife and my son during the day, partying with (I hope) some of you reader in the night ! Now I have 9 mounths ahead to plan flights, hotels and visits. 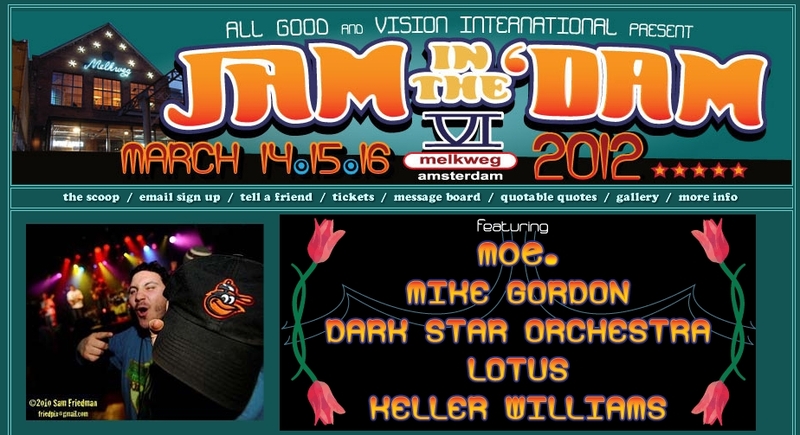 All Good and Vision International present the return of Jam in the Dam: a multi-day, multi-room extravaganza held at the legendary Melkweg in Amsterdam, The Netherlands March 14-15-16, 2012. 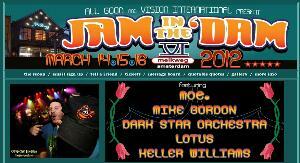 Celebrating music in an intimate atmosphere, the sixth edition of Jam in the Dam features the music of moe., Mike Gordon (of Phish), Dark Star Orchestra, Lotus and Keller Williams. Each artist will play extended sets all three nights in one of the two concert halls, all under one roof. With this conjunction of musical stars, mind-blowing collaborations are just the beginning. The music runs from 8:00 pm to 2:30 am. This schedule allows fans to enjoy the wonders of Amsterdam by day and rock out by night. The city’s rich cultural offerings include famous museums and art galleries such as the Van Gogh and Rijksmuseum; cozy pubs and café terraces; open-air markets and trendy boutiques; and of course the legendary coffee shops. This unique opportunity to combine the exploration of a world-class European city with the expansion of musical horizons is what makes Jam in the Dam an experience not to be missed. Tickets are available starting March 24 at http://jaminthedam.missiontix.com at $225 Early Bird pricing, saving $60 off of the gate. In Europe, tickets will go on sale soon at http://www.ticketmaster.nl, and will be priced at 170 Euro for Early Bird. Single night tickets are available in Europe for 60 Euro.